Print Page - Viking Supporters Co-operative - The Pride of Yorkshire is at stake! The Pride of Yorkshire is at stake! 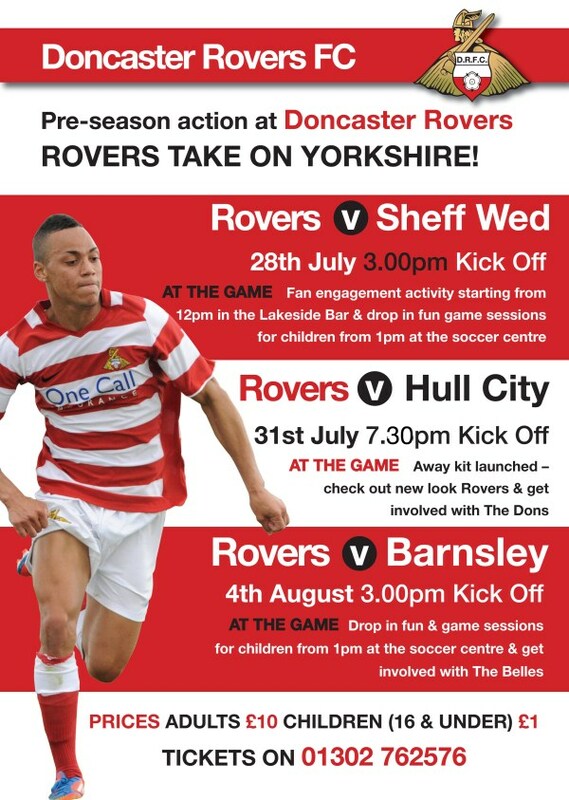 This pre-season sees the Rovers take on a number of Yorkshire rivals in what promise to be stern tests for Dean Saunders' squad, culminating in three derbies at The Keepmoat Stadium against our neighbours from Sheffield Wednesday, Hull City and Barnsley. Adult tickets are priced at just £10, with under 17s attending for just £1. Tickets are available now from the Stadium Ticket Office, online at the Keepmoat Stadium website or by calling 01302 762576. Be there to support the team and give the lads a boost in their preparation for this season in League One. Come on you reds!